Ahmet Erdem was born in 1956 in Tokat, where he had his primary, secondary and high school education. He completed his undergraduate and graduate studies in Ankara. Mr. Erdem started his career at the Ministry of Labour and Social Security in 1975 and has served in the Ministry at various positions since then..
As the Secretary General of the Higher Board of Arbitration of the Ministry, he worked on settling collective agreement disputes between trade unions and employers. Later on, he worked as an Adviser to the Minister. 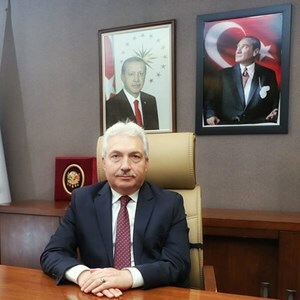 Mr. Erdem served as Deputy Undersecretary of the Ministry in the periods of 1996-1997 and 2003-2007 where he was responsible for the activities of the Directorate General of Labour, the Directorate General of Occupational Health and Safety and the Department of Human Resources. Mr. Erdem was appointed successively as the Undersecretary of the Ministry in 2007 and as Adviser to the Prime Minister in 2009. In his capacity as the Adviser to the Prime Minister, he was responsible for the issues related to employment, social dialogue and labour markets. In 2014, he was reappointed as the Undersecretary of the Ministry for a second term. Mr. Erdem has also served as the Minister of Labour and Social Security of the 63rd Government of the Republic of Turkey from 28 August 2015 to 24 November 2015. 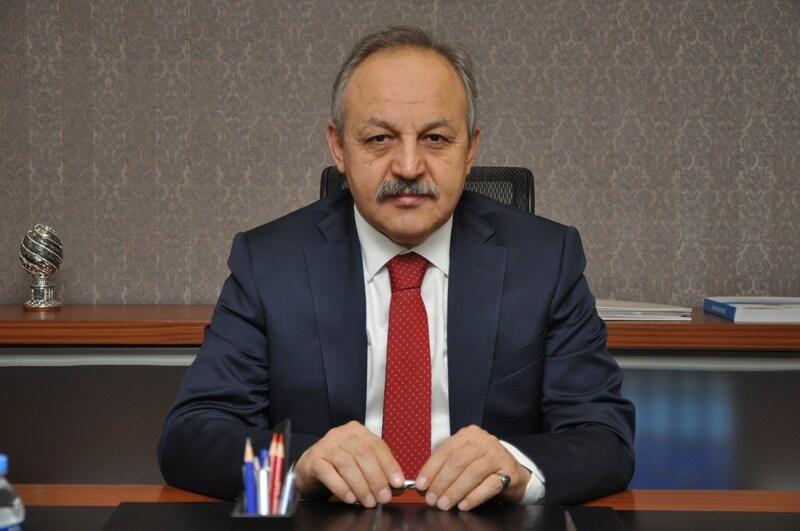 While serving as the Undersecretary of the Ministry since then, Mr. Erdem was appointed as Deputy Minister of Family, Labour and Social Services by a Presidential Decree dated 25 July 2018. Ahmet Erdem has a command of English and Arabic at intermediate level. He is married with two children. Ayşe Kardaş Ergezen was born in Gönen/Balıkesir in 1980. She started her primary education in Tripoli/Libya due to her father’s post, then she completed her primary education in Gönen and secondary education in İstanbul. Having graduated from Boğaziçi University, Department of Business Administration - Management Information Systems in 2004, she studied International Trade at Jönköping University in Sweden. She received her master’s degree in the field of Global Politics at Bahçeşehir University and attended diplomacy course at Oxford University. She started her career as a manager at Finansbank. Afterwards, she set up her own business. In this period, she was elected as the Member of Municipal Council in Ümraniye/İstanbul. In 2009, she was appointed as Advisor to the Prime Minister. She ran for a seat at the Parliament from the province of Balıkesir in June 2015 general elections. Mrs. Kardaş Ergezen has taken active roles in several non-governmental organizations. Among these duties are; Vice-Presidency of Üsküdar City Council, Chief Representative of Women and Democracy Association (KADEM) as well as Executive Board Memberships of KADEM and Turkey Youth and Education Service Foundation(TÜRGEV). She is still a Substitute Member of the Executive Board of KADEM, Vice-President of the Turkish Chess Federation and member of the General Assembly of TÜRGEV. She is one of the founders of July 15 Foundation and has been a member of its Executive Board. Mrs. Kardaş Ergezen was appointed as the Deputy Undersecretary (Acting) of the Ministry of Family and Social Policies in March 2016. Her portfolio included the units of Directorate General of Services for Persons with Disabilities and the Elderly, Directorate General of Family and Community Services, Department of Support Services, Department of Relatives of Martyrs and Veterans, Department of Training and Publication and Central Directorate of Working Capital of the Ministry. She has coordinated the works of these units. As of 25.07.2018, she has been appointed as the Deputy Minister of Family, Labour and Social Services. Being fluent in English, Ayşe Kardaş Ergezen is married and mother of a son.